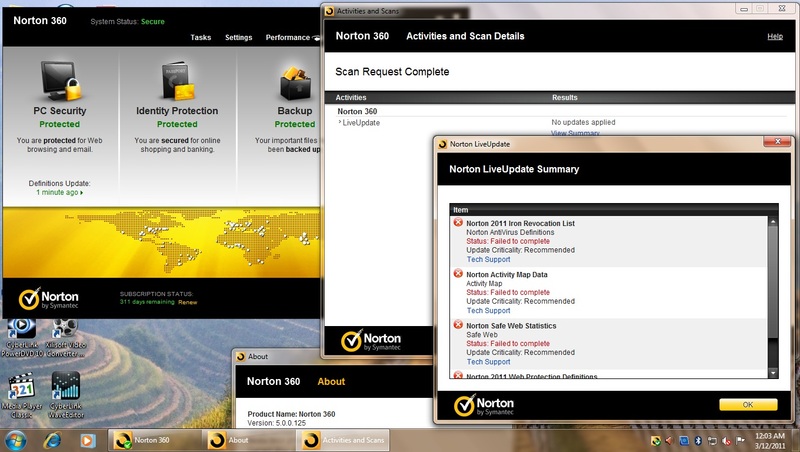 I have a norton 360 5.0 3 pc license, and have installed on 3 pc running same Windows 7 x64 Professional SP1, two in them are laptops, but this problem has not occured in them, it is there in my desktop...when ever i run live update i am greeted with this error, showing u guys the screenshot.!! After running one click tool i get the error number 8920,223. What has happened..It was running smoothtly few hours back..!! Thnxxxxxxx for the fast reply..u saved me from uninstalling and installing the application again..!! Keep checking the thread in the NIS/NAV forum which covers the issue. They will advise in that thread when there a fix is in place.